Escape to the Lake District just outside quaint Grasmere, a village that inspired many a admiration-filled poem by William Wordsworth. 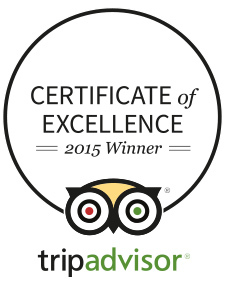 Dine with elegance every evening at The Garden Restaurant, awarded 2 AA Rosettes for its outstanding cuisine. In a secluded location just outside the lovely village of Grasmere, the Rothay Garden Hotel boasts two acres of lush riverside gardens. A perfect base for total immersion into countryside living, guests can settle into a peaceful atmosphere whilst exploring the quaint towns of Keswick, Ambleside, Windermere and the stunning lakes. 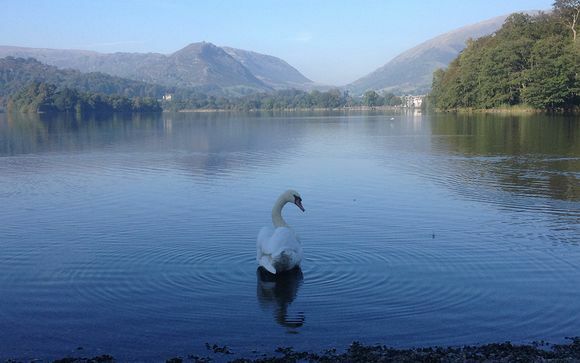 A haven for walkers, the Lake District awaits and is ready to be admired. Loughrigg Terrace, Easedale Tarn, Alcock Tarn, Helm Crag and the Coffin Trail are shorter walks that are not to be missed, whilst more challenging feats include Helvellyn, Langdale Pikes, Fairfield Horsehoe and Scafell Pike. Brave the peaks of Coniston Old Man and Skiddaw for breathtaking scenery. Retrace the footsteps of William Wordsworth, who spent most of his life in and around Grasmere, and described it as “the loveliest spot that man hath ever known.” Visit Dove Cottage, Rydal Mount and the main fells to tap into his poetic inspirations and influences. Who knows... You might be inclined to weave together a few stanzas too! 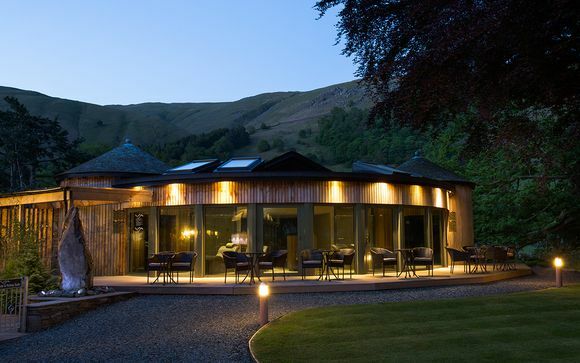 Located just a short stroll away from the centre of Grasmere, the Rothay Garden Hotel offers award-winning cuisine and luxury spa facilities for the perfect countryside getaway. 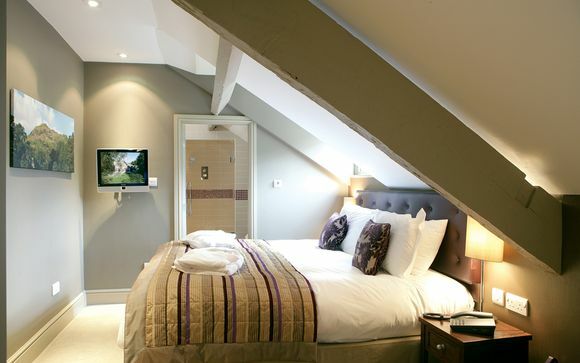 Following a £3 million revamp completed in 2011, the hotel prides itself on being one of the highest rated of all hotels in Grasmere and Ambleside. Blending the tradition of 'olde worlde' English heritage and the luxury of contemporary style and service, the hotel gifts their guests with the ambiance of the British countryside whilst also receiving a sumptuous level of hospitality. The combination of individually designed and stylish guestrooms and suites, elegant lounges, exceptional restaurant and scenic spa results in an ideal choice for your next countryside getaway. "The perfect place to stay.... 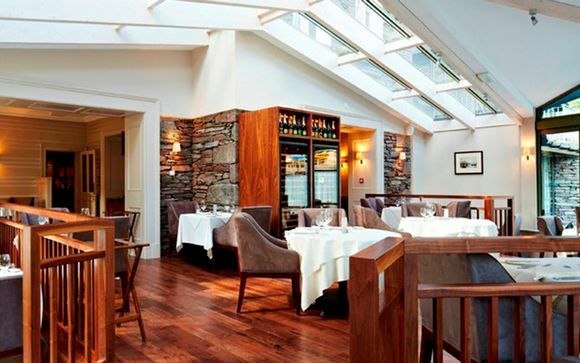 Stunning views and a remarkably intimate atmosphere where members of staff treat guests as old friends." Just for you: Presentation Box of handmade Lake District chocolates and a bottle of Louis Roederer Champagne chilled in your room upon arrival. Late Checkout until 12.00 noon. 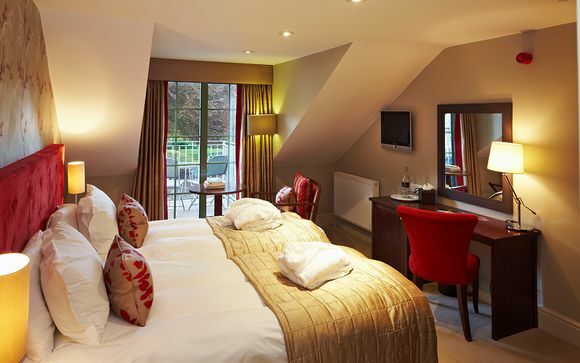 The spacious Langdale guestrooms are mostly situated on the first floor, with a balcony overlooking the river or gardens. With stylish contemporary décor, expect a Queen or King-sized bed and modern essentials. More inclined towards the Suite life? Stay in one of the hotel's individually designed suites - noticeably more spacious than the guestrooms and all with decadent King-size beds and scenic views. Shroud yourself in fluffy bathrobes and slippers and lie back onto pure luxury. Breakfast is served daily at the hotel's exceptional Garden Restaurant. The main event, however, is the 4-course dinner that members will enjoy every evening. Awarded with 2AA Rosettes and headed up by Andrew Burton and Adrian Kneeshaw, the renowned restaurant boasts modern furnishings, sleek elegant lines and picturesque views overlooking the hotel’s two acres of gardens. The dishes are a delight; expertly crafted with regionally sourced produce, the gourmet flavours that emerge are worth writing home about. The Riverside Spa showcases the stunning scenery through its floor-to-ceiling windows that look out to the peaceful fells and babbling River Rothay. With an ambiance to calm the mind and relieve stress, the spa’s jewel in the crown is the jet-filled Hydrospa, where you can plunge into bubbling warmth. Follow this by spending some time meandering between the Herbal Pine Sauna, Aromatherapy Room, Monsoon Showers, Infra-red Loungers and last but not least, the Heated Pebble Reflexology Walk - a soothing treat for tired feet.